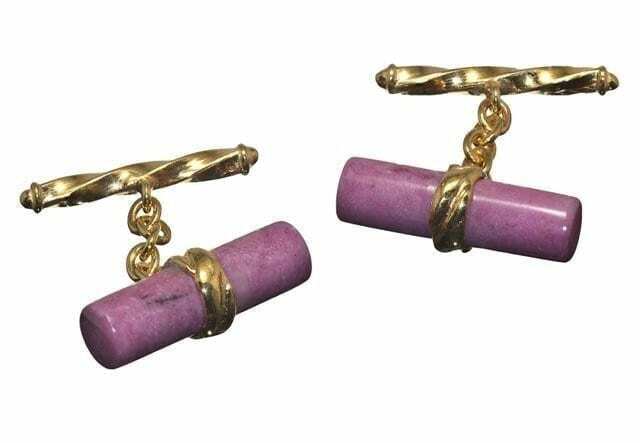 Rhodonite cufflinks set in gold plated sterling silver 925. 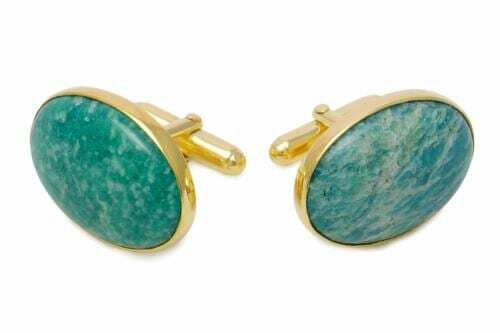 These lovely Regnas grandee style cuff links are delivered in a black and gold plated (5 Micron 18K Gold) sterling silver cuff links presentation box. 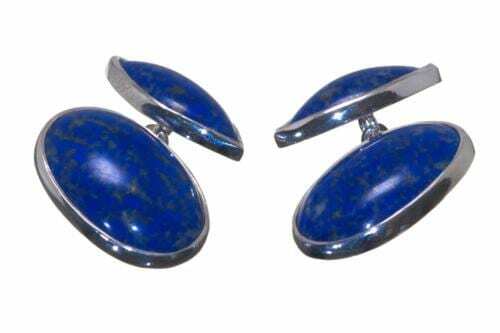 The grandee style is based on two hand crafted pieces of Rhodonite measuring 25 x 7mm (1 x 9/32 inch). 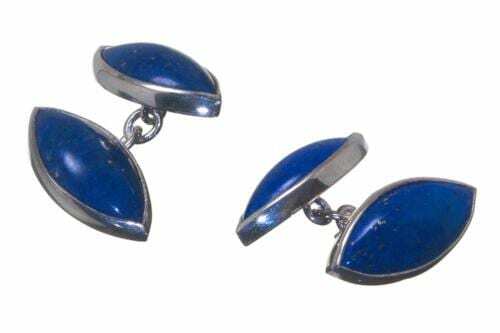 These are joined by a gold plated sterling silver chain which will thread easily through your shirt cuffs. Each piece of Rhodonite is unique. There will be variations in the pattern the pink and black colour being mixed.